The Federal Trade Commission (FTC) published a comment today pushing against a rising media narrative that it may have gone too easy on Google during its multi-year antitrust probe on the search company’s ranking of results to benefit its own products. 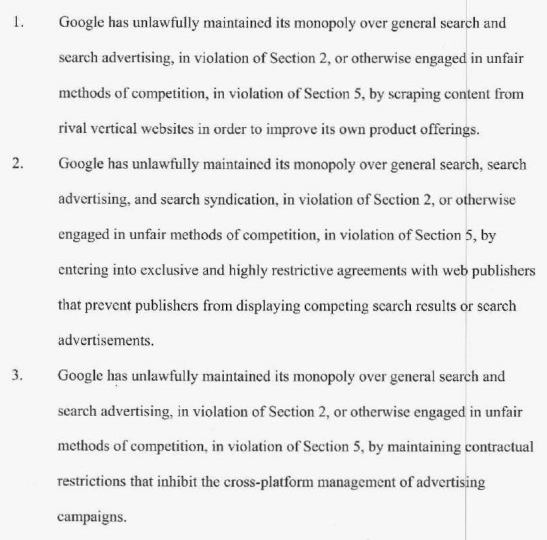 In the end, Google agreed to change some of its business practices, and the FTC closed its investigation. The document is only a fraction of the record, making it at best a partial signpost. The first Wall Street Journal report was followed by a second piece from the publication detailing Google’s ability to attain meetings at the White House, attempting to paint a mix of interests: Pointing out that on election night in 2012, Google’s Eric Schmidt “was personally overseeing a voter-turnout software system for Mr. Obama,” and so forth. The FTC’s updated note goes on to state that Google has “abided” to the commitments it made to the FTC at the time of the decision. The agency says that it “raised concerns” about “other Google practices,” which appear to align with the documentary record, such as we have it. I’ll leave the final summing of the above to the lawyers, but it is also interesting to note the impact that transparency has. This debate, mostly concluded, is now back in the mix. Given the continued importance of search capabilities, even as search itself becomes increasingly diverse, and siloed in some ways, how we determine what is fair from providers is a topic that matters.